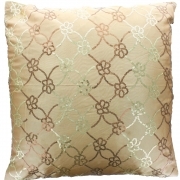 Flower design cushion cover -coffee and brown. 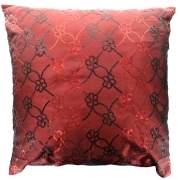 Red sequined silky cushion cover. 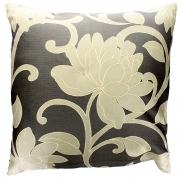 Gold sequined silky cushion cover. 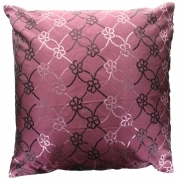 Pink sequined silky cushion cover. 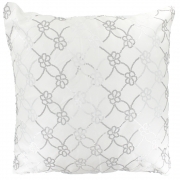 Ivory sequined silky cushion cover. 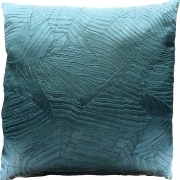 Silky leaf textured cushion cover in teal. 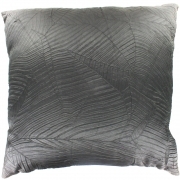 Silky leaf textured cushion cover in black. 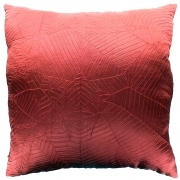 Silky leaf textured cushion cover in red. 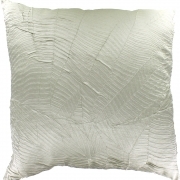 Silky leaf textured cushion cover in silver. 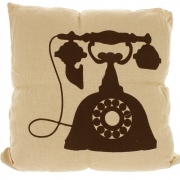 Natural linen look cushion with black printed design - Telephone.